Zeta Super Card claims to have anti-fraud security measures like geo-tagging and dynamic PIN for authenticating payments. I am a copy editor who envisions writing as a medium to reach the masses. After working on a variety of domains that also included hard news and start-ups, I now want to explore the ambit of the tech world to explain news to the masses to help understand and take informed decisions. I like to interact with people and explore different cuisines. Digital payments company Zeta launched a secure payment card for banking consumers that comes with safety features and advanced payment options. The India-based company claims the Zeta Super Card has first-of-its-kind anti-fraud security measures like geo-tagging and dynamic PIN for authenticating payments. “So far Zeta was a business-to-business product only. With this launch, we intend to offer a mechanism of digital transaction that is 10 times more secure than any other mode available today,” co-founder and CEO Bhavin Turakhia told BusinessLine in an interaction. “In our opinion, all existing mechanisms are not secure at all. So in Zeta, we have built four security mechanisms,” Turakhia added. The card is powered by MasterCard and can be applied for through the Zeta App or website. The card is issued by RBL Bank and Zeta is the technology provider. A user can begin using the card by transferring funds from their bank accounts or debit or credit card via the App. “We recently witnessed the worst security breach in the country where 3.2 mn cards were compromised. To tackle such incidents in the future, we have developed India’s most secure payments system with Zeta Super Card. 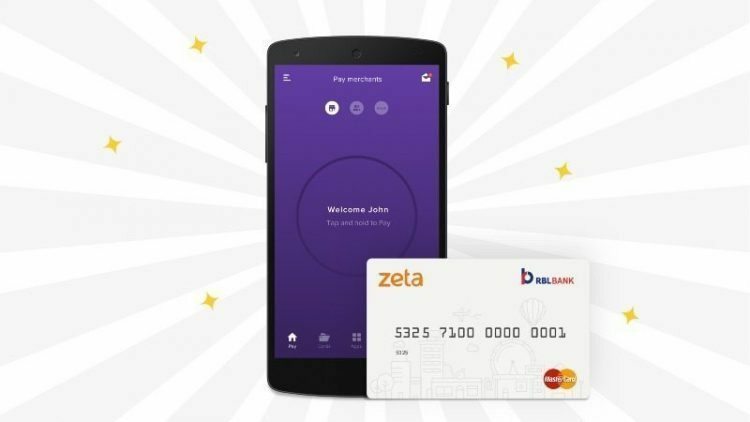 We have revolutionised payment security in India with superior features such as dynamic PIN and geo-tagging.,” said Zeta Co-founder and chief technology officer Ramki Gaddipati. Dynamic PIN: The Super Card can be linked to a user’s existing credit or debit cards. It comes with a SuperPIN that replaces the static four-digit PIN and SMS-based one-time password with a dynamic six-digit PIN. For every transaction, a new PIN is created by the App. Geo-Tagging: Using geo-tagging, it also tracks and matches the location of the transaction (the place of the card being used) and the place where PIN is the been generated. The transaction is automatically blocked if there is a mismatch. App control: Also, the card can be turned off using the phone App, disabling its use. Users can also authorise online payments using a swipe action on the App, a feature that does away with the need to punch in an SMS-dependant OTP. “All these provide added security to the user. With India’s digital payments industry expected to touch $500 billion by 2020, it is essential that card payment systems offer completely secure methods to safeguard users from all possible threats,” Turakhia added.